David Lowery has become a Sundance little darling. His latest feature, A Ghost Story, was a festival sensation last January in Park City. In fact, the queue for the press screening was immense, despite the heavy snow outside the tent. The organisers soon realised they had to open a second room for the screening as they didn’t want to let the critics down. 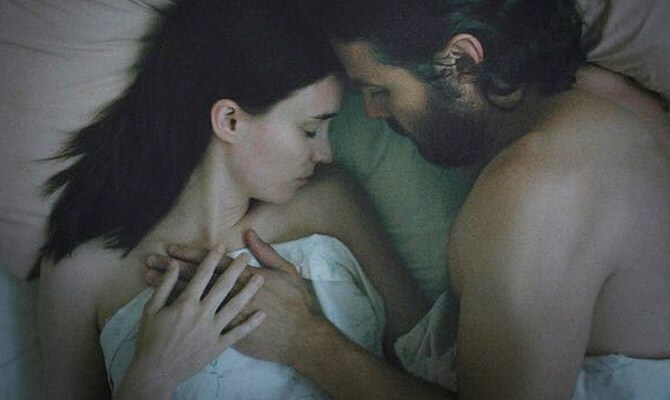 This week, A Ghost Story has its UK premiere and the filmmaker is coming to London for a talk. You can check the festival schedule here. But before you make any plans, let’s investigate this fever. Is A Ghost Story really extraordinary? From the argument point of view, it isn’t: in short, A Ghost Story talks about a couple who remain attached to themselves after death. If you are a fan of Casey Affleck, maybe rethink twice before buying your ticket. He is a spectral figure most of the time. You won’t be able to see his muscles or enigmatic smile. The most impacting feeling you get while watching it is a sensation of emptiness and lack of life purpose. There is a long sequence in which the thin Rooney Mara eats a whole pie in real time. It is patience consuming. You think she is going to vomit. But at the same time it is significant of the microcosm of Lowery’s work. It is there to push you into your limits. A slow cooking story. If you are an enthusiast of Spiritualism, you will find A Ghost Story very simple. It has indeed all the ideas that Allan Kardec explored in his Medium’s Book but one aspect is not convincing enough. For the father of Spiritualism, spirits that remain attached to the livings and life in Earth are not evolved. This is why they cannot ascend immediately after death and reincarnate soon after. It is hard to believe that Affleck’s character is not an evolved soul. He has done nothing he regrets. There are two good aspects in A Ghost Story. The first one is the photography. As the ghost transcends time and space, the camera walks into landscapes reminding a little bit the end sequence of Antonioni’s L’Eclisse (1962). Whilst in the Italian film, the camera moves mean that the city life will go on after the couple splits, in the modern film it serves to explain the circle of reincarnation. The second positive aspect offered by Lowery is its confused narrative, with flashbacks and flash forwards without any voice over explanation. It’s something you’ve definitely seen before in other films, but here it suits the scriptwriting more. And more importantly, it defies categorisation. Oscar winner Casey Affleck consolidates his image of King of Pain in independent American cinema. His role choices are now related to grief and sadness. Rooney Mara’s career, however, is determined for something else rather than just a face similar to Audrey Hepburn. She has been spotted together with Cannes winner Joaquin Phoenix, who certainly will help her to choose challenging characters. A Ghost Story is screening at Sundance London Film Festival, which runs from June 1 to June 4. Official Selection Sundance London Film Festival. A Ghost Story. USA 2016. Directed by David Lowery. Starring Casey Affleck, Rooney Mara.